The idea for an "annual action [that] could take hold in the whole world ... [that] would be a major contribution to peace" was introduced just after World War I and evolved out of the "Red Cross Truce, an initiative that was studied by an international commission established at the 14th International Conference of the Red Cross. Its results, presented to the 15th International Conference in Tokyo in 1934, was approved and having considered the principles of the truce, and its applicability across different regions of the world, the General Assembly of the International Federation of the Red Cross Societies (IFRC) asked the League of the Red Cross Societies (LORCS) to study the feasibility of adopting an annual International Red Cross Day. 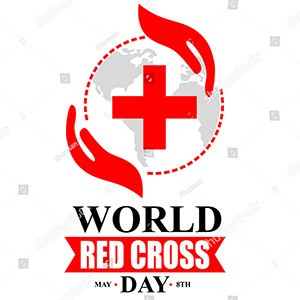 Two years later, the proposal was adopted and the first Red Cross Day was celebrated on 8 May 1948. The official title of the day has changed over time, and it became "World Red Cross and Red Crescent Day" in 1984.